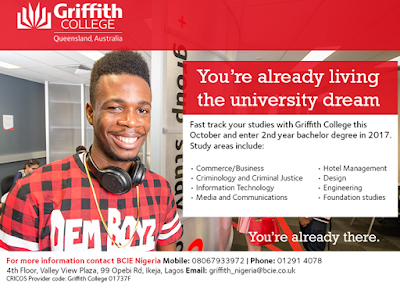 Take advantage of the unique opportunity to enroll for your foundation and undergraduate programs with your WAEC / NECO results at Griffith College, Australia. 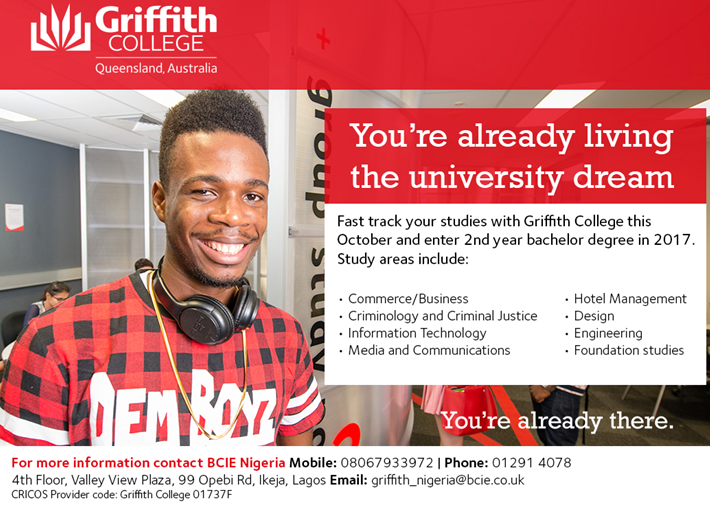 Study at Griffith College and become part of a tradition of innovative, world-class institution with unwavering student support, hands on learning with industry partners and an international focus. We offer a supportive learning environment for International students, opportunities to study alongside different nationals, also you have the opportunity to have an exchange programme in New Zealand, China or Turkey and have a whole study experience. • Internship opportunities also available.